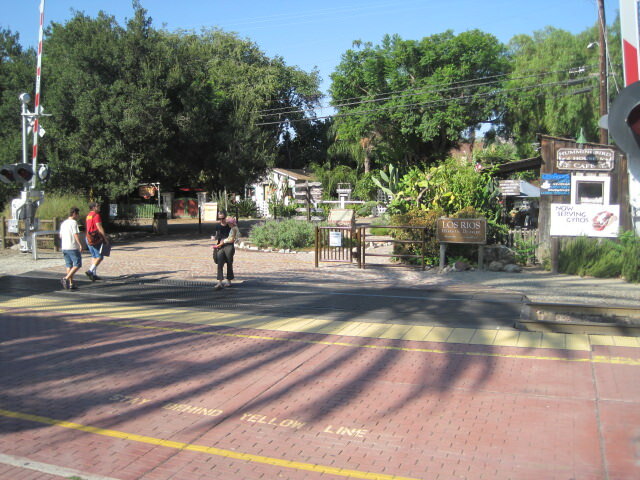 Los Rios Plaza was designed and detailed to provide a pedestrian gateway to California’s oldest residential district. 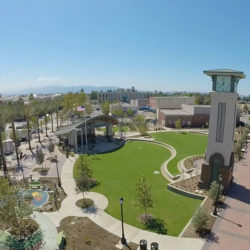 The Plaza was conceived as an extension of the district’s simple and unpretentious character. 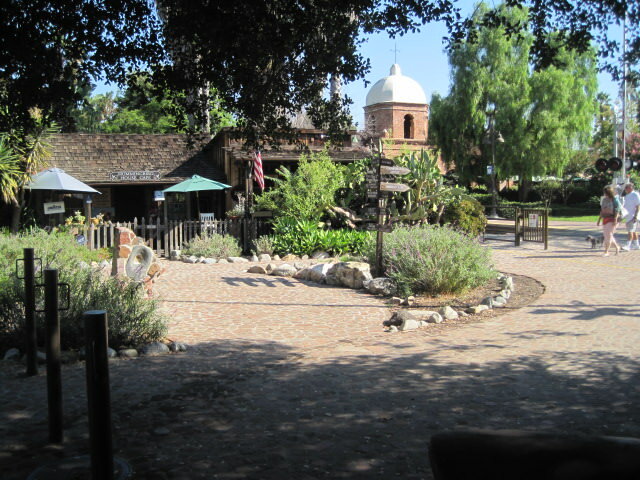 Recycled, random adobe brick was used as plaza pavers. The informational monument is constructed of the same brick with metate stone inlays recalling the area’s Native American heritage. 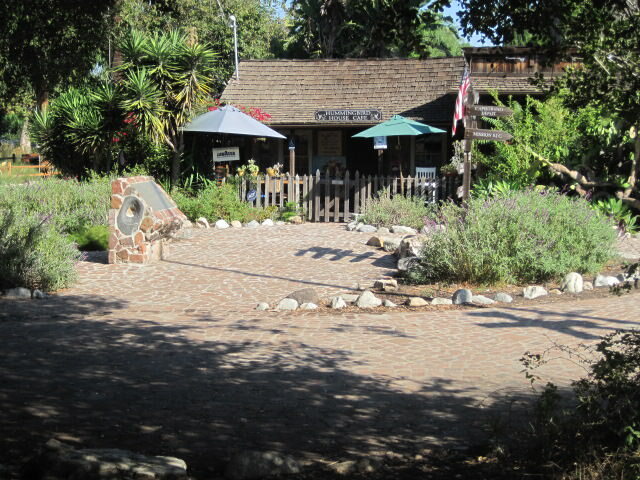 Random stone with boulders delineate the perimeter of the adjacent planter areas. 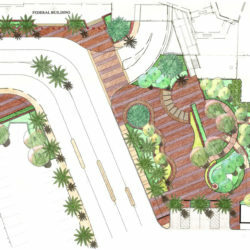 The Plaza’s landscape utilizes native plantings of Salvia, Citrus, Mimulus and Blue-eyed Iris. 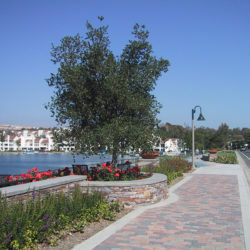 A specimen California Live Oak was planted along the Plaza’s southern edge and provides an appropriate complement to the neighborhood’s existing peppers and bay laurels. 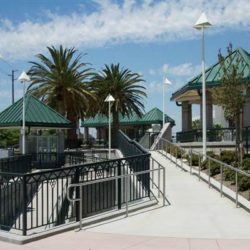 The collective character of the Plaza provides a seamless transition from the Historic San Juan Capistrano train depot and the Historic Los Rios District.